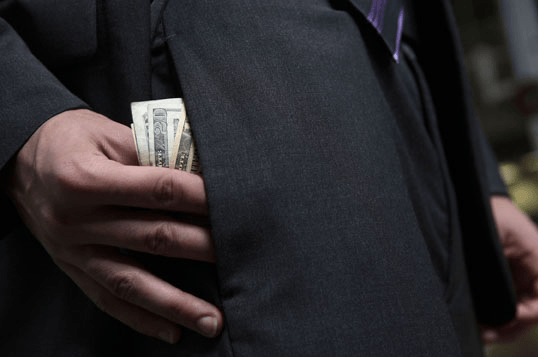 Facing White Collar Crime Charges in Boston? Embezzling money involves misappropriating funds that are placed in your care but owned by another party. For a theft to be considered embezzlement, the original illegal acquisition of funds must not have been as a result of a trespassing. Embezzlement cases are unique because the individual who illegally obtained the money for his or her own gain had the right to access the money. If you have been charged with embezzlement, it is important to contact a qualified and aggressive Boston Criminal Defense Lawyer. “Embezzlement” is a term used to describe larceny in the context of a business or a non-profit organization. Often, charges of theft described as embezzlement are the result of a lengthy investigation. Boston Criminal Defense Attorney Steven J. Topazio has substantial experience defending people accused of various forms of fraud and embezzlement. State investigators often build high-profile white collar crime cases by trying to threaten suspects with negative consequences if they fail to cooperate. In fact, “cooperation” with the investigation is very likely to have disastrous consequences. You may think that you did not give the authorities evidence against your interests, but you may still face other serious charges for making false official statements or obstruction of justice depending on how your interactions go with authorities. Any allegation or potential charge involving fraudulent business or financial activity calls for experienced and dedicated representation. Please call our office or contact us online now for an initial consultation to discuss your circumstances and the ways to protect your freedom. The client, a 41 year old, hired Boston Criminal Defense Lawyer Steven J. Topazio after he was summonsed to court for an arraignment for fraud following an internal audit by the Commonwealth of Massachusetts, Division of Medical Assistance, which revealed that the client applied for and received MassHealth Benefits despite claiming residency in the State of Florida. According to the audit, the client fraudulently collected $14,226.74 in Division of Medical Assistance (DMA) MassHealth benefits by intentionally withholding the fact he did not reside in Massachusetts. He continued his scheme by making 2 representations claiming he resided in Massachusetts, failing to notify DMA that he reported on his personal taxes that he was a resident of Florida. Attorney Topazio investigated the matter and discovered that his client owned distressed property in both Worchester as well as in Florida. That his client was a resident of Massachusetts for a period of time, when he moved to Florida where he changed his residency, yet continued to maintain ownership of the Worchester property. Although the facts of this case suggest that the client moved back to Massachusetts, he nevertheless continued to acknowledge on his personal tax filings that his residency remained in Florida while he was trying to rescue his Florida property which was going through a foreclosure. Despite the dilemma the client found himself in, Attorney Topazio was able to convince the prosecutor to give his client a continuance without a finding CWOF, so as to avoid his client being convicted of this felony charge, on the condition that he repay the Commonwealth, and the court agreed. Result: Client avoids a fraud conviction on agreement to repay Commonwealth for loss.